Minister of Health Chitalu Chilufya is single handed trying to kill the institutional memory of the University of Zambia School of Medicine Postgraduate studies. He has transferred most senior consultants from UTH to other hospitals especially Levy Mwanawasa Teaching Hospital as a way of crippling the UNZA School of Medicine. Chitalu has created a first medical university under Ministry of Health against regulations that all higher education should be regulated by Higher Education Authority and supervised by Ministry of Higher Education. This has led to fights between Prof. Luo and Chitalu over the same, but since Chitalu is Lungu’s chosen one, he will follow what Chitalu tells him. It is very clear that he doesn’t want any other institution to train doctors including UTH unless his creation, the Levy Mwanawasa Medical University, all in the name of leaving a “legacy” in Zambia. 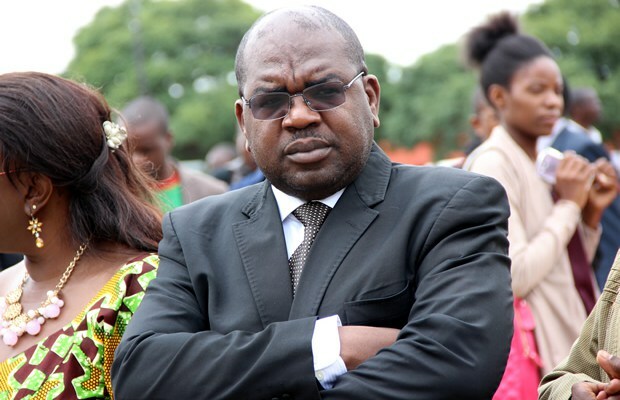 He has named the Ministry’s strategic goals as Chilufya legacy goals. The question we ask is why bring down an institution which has been there even before he graduated from the same place? An institution which is highly rated globally in the medical fraternity and in the region. Why bring it down to a mere skeleton training not doctors but equivalent to clinical officers? This has angered the postgraduate doctors who have said enough is enough. As you might be aware, doctors in training have never staged a protest since the opening of the school of medicine but seems they are pissed by this and can’t take it anymore. They have written a letter complaining about the abuse of postgraduate doctors being used as labour without any training. Reliable sources have confirmed that the doctors are contemplating withdrawing from the training as they have been forced to be working in all clinics in Lusaka come April 15th, 2019.The reason by Chitalu is to improve the staffing levels in Clinics at the expense of doctors specialising. Lack of specialists is beneficial to the likes of Chitalu because, they are able to fly out of the country for even simple diseases like BP or getting a refill of ARVs. The doctors have vowed to stop training in the Zambian hospitals because their skills acquisition are being compromised by the micro- management from Mr Ineptitude, by using them as Labour without supervision to enable them acquire the skills to perform complex surgeries and handle complicated cases. Attached is the letter of protest by the doctors in specialist training over the poor training conditions, addressed to the Academic affairs of the University of Zambia. You cannot specialize without a consultant training you. Books don’t make specialists, consultants do! Even as we know the new institution at Levy Mwanawasa Medical University will help with alleviating the human resource for health crisis, let it not be at the expense of killing the existing programs at UTH which have taken years to reach where we are. Legacy can be built by strengthening existing systems, and not by resetting everything to what you want. If we are not careful, all the gains the nation has made with regards to training of specialists will be lost, especially since even those who the government sends out of the country for training don’t get the required support from the government, or when they come back, are not assimilated into the health system. This leads to them fleeing and setting base in our neighbouring countries like Namibia and South Africa. That’s a topic for another day. This has to come to an end as Chilufya is really messing the health system up. It’s only ignorant cadres and Lungu who think he is the messiah of health. We are afraid to speak as he can retire us in national interest as he has done over 25 highly specialized doctors, but enough is enough!